In a two sentence statement, Ohio Supreme Court Justice Sharon Kennedy said that she will not recuse herself in a contentious abortion case that could close Toledo’s only abortion clinic. On Thursday, Capital Care Network asked Kennedy to recuse herself from their case, arguing that Kennedy’s recent speech at a Greater Toledo Right to Life event damaged the appearance of impartiality. “Having reviewed the request, I find it to be without merit and will continue to participate in the case,” Kennedy wrote in response to the request. Kennedy spoke at the event two days after the Ohio Supreme Court agreed to hear an appeal of Capital Care’s case. Prior to Capital Care’s challenge, two previous complaints were filed against Kennedy. In April, a grievance over conflict of interest was made to the Ohio State Bar Association after Kennedy’s appearance at the anti-abortion’s group’s annual breakfast. 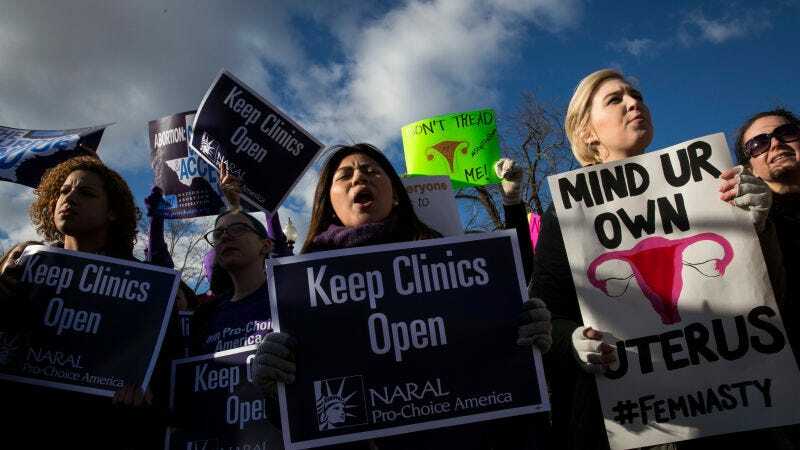 In May, a second complaint was filed with the Ohio Supreme Court’s Office of Disciplinary Counsel by ProgressOhio and signed by 51 individuals and groups, including Physicians Action Network, NARAL Pro-Choice Ohio, and the National Organization for Women. In June, the Toledo Blade reported that a judicial panel dismissed the second complaint against Kennedy. The panel wrote that “good cause does not exist for further investigation of the grievance.” According to an editorial written by Ohio Chief Justice Maureen O’Connor, Kennedy did not violate any ethics rules by appearing at the Greater Toledo Right to Life event because she did not directly address Capital Care’s pending case. “She did not discuss or refer to any cases pending before the Supreme Court of Ohio, nor did she mention abortion and the host group’s positions,” O’Connor wrote. The Toledo Ohio Right to Life has also argued that the event was not a fundraiser but rather a “legislative briefing,” and noted that Kennedy spoke only about the Constitution. After the second complaint against Kennedy was dismissed, the Capital Care asked Kennedy to recuse herself. The Associated Press reports that the clinic’s lawyer “said the Ohio Code of Judicial Conduct requires justices to disqualify themselves any time their impartiality ‘might be reasonably questioned.’” Kennedy turned down their request. According to Kennedy’s campaign website, her 2014 candidacy was endorsed by numerous anti-abortion groups, including Ohio Right to Life and Ohio ProLife Action. At issue is whether or not the clinic can stay open. In 2014, the Ohio Department of Health ordered that Capital Care shut its doors for allegedly violating state-imposed restrictions. Ohio requires that abortion clinics maintain a transfer agreement with local a local hospital. Capital Care had an agreement with University of Toledo Medical Center until 2013 when the state passed a law that effectively barred public institutions from partnering with abortion clinics. Though Capital Care later secured a transfer agreement with the University of Michigan, an examiner from the Ohio Department of Health ruled that the 52-mile distance between Capital Care and the University of Michigan did not satisfy the “local” requirement of the state’s law. Though “local” was not clearly defined at the time, the law was later amended to define “local” as within a 30-mile radius. Capital Care sued the state shortly after the Ohio Department of Health ordered the clinic shut. Two lower courts have previously sided with the clinic, allowing it to stay open. The state appealed those decisions to the Ohio Supreme Court. The court will hear Capital Care’s case on September 12.